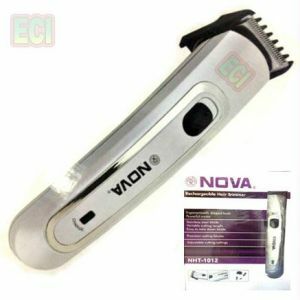 Nova NHT1012 Rechargeable Hair Trimmer Clipper for Hair, Moustache and beard hair trimming. Nova Nht1012 Gents Mens Hair Clipper Beard Trimmer Nova NHT1012 Rechargeable Hair Trimmer Clipper for Hair, Moustache and beard hair trimming. To Recieve updates and possible rewards for Nova NHT-1012 please sign in. To Recieve updates and possible rewards for Trimmer, Clipper & Shaver please sign in.